Galaxy Zack 4 Books in 1! Hello, Nebulon! ; Journey to Juno; The Prehistoric Planet; Monsters in Space! 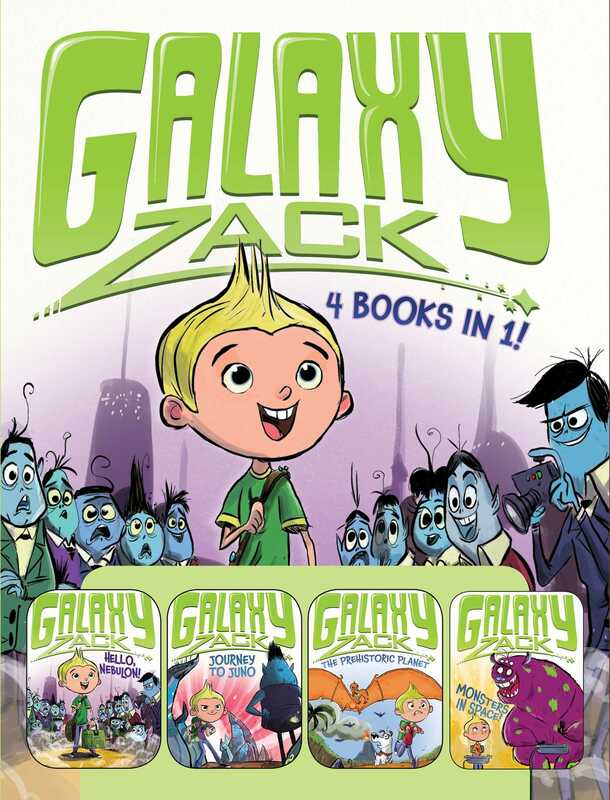 The first four Galaxy Zack books are now available in one stellar four-book collection! Join Zack Nelson on his galactic adventures as he moves from Earth to Nebulon in the year 2120, explores a newly discovered planet, helps a dinosaur get back to its prehistoric home, and makes a zandy new friend in this out-of-this-world four-book collection! This space-age collection includes: Hello, Nebulon! ; Journey to Juno; The Prehistoric Planet; and Monsters in Space! Book Cover Image (jpg): Galaxy Zack 4 Books in 1!